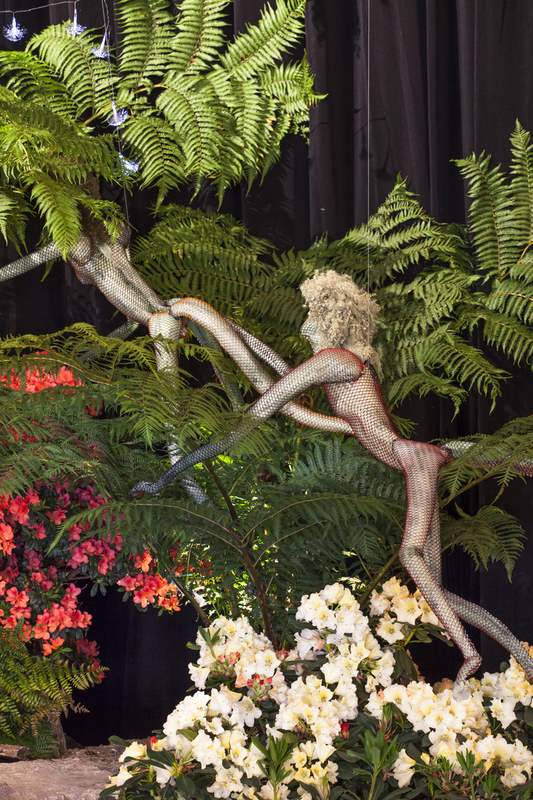 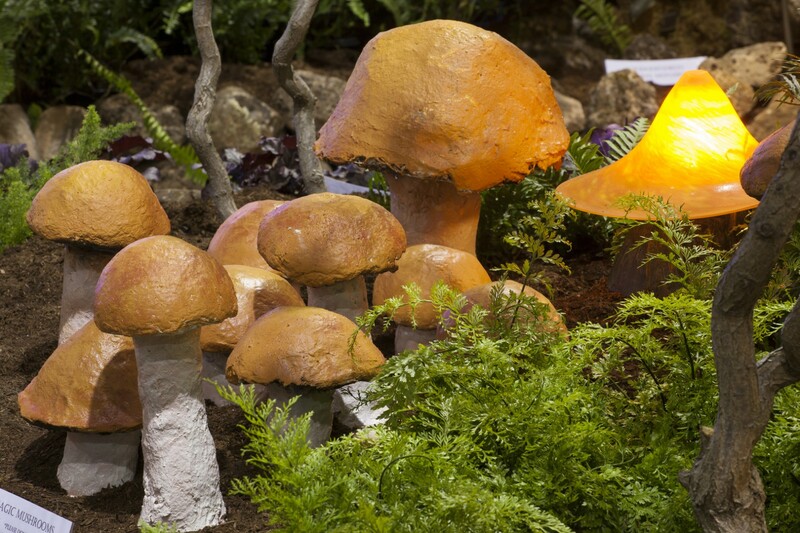 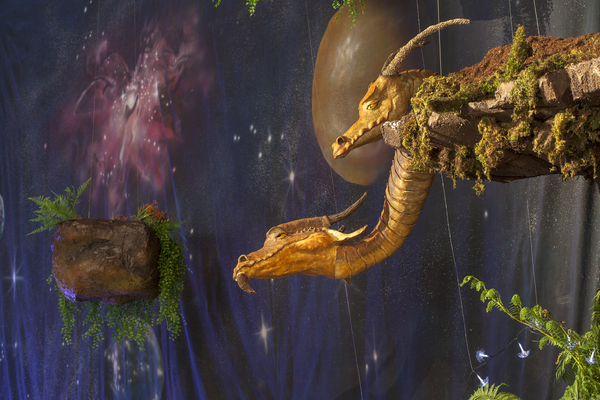 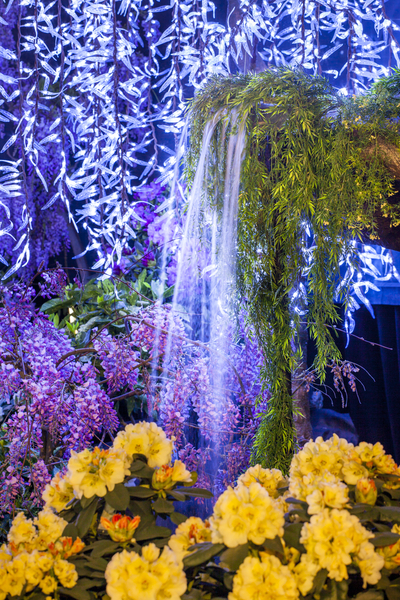 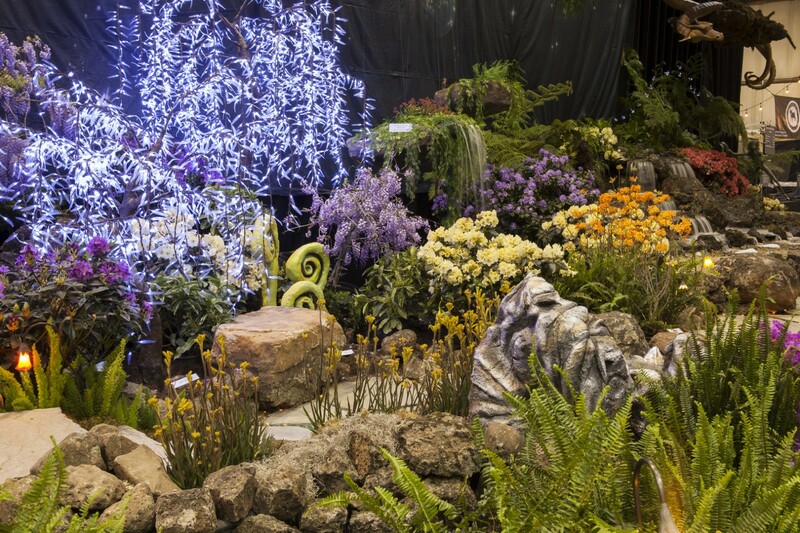 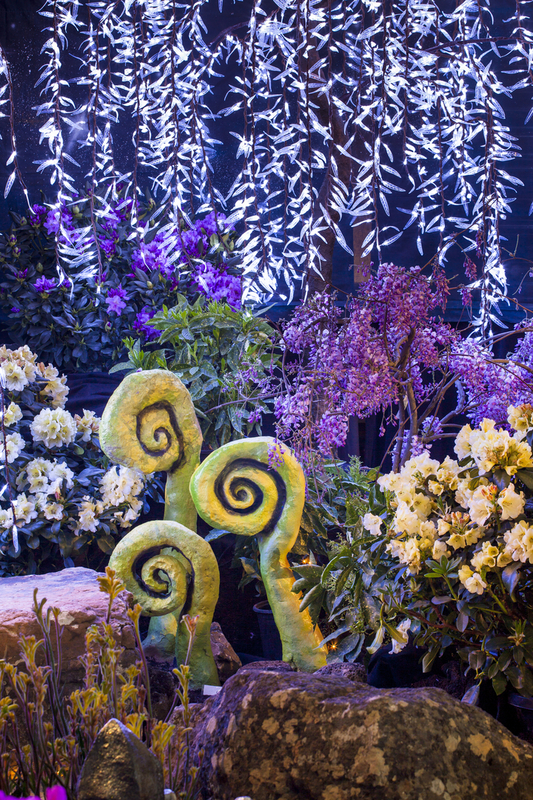 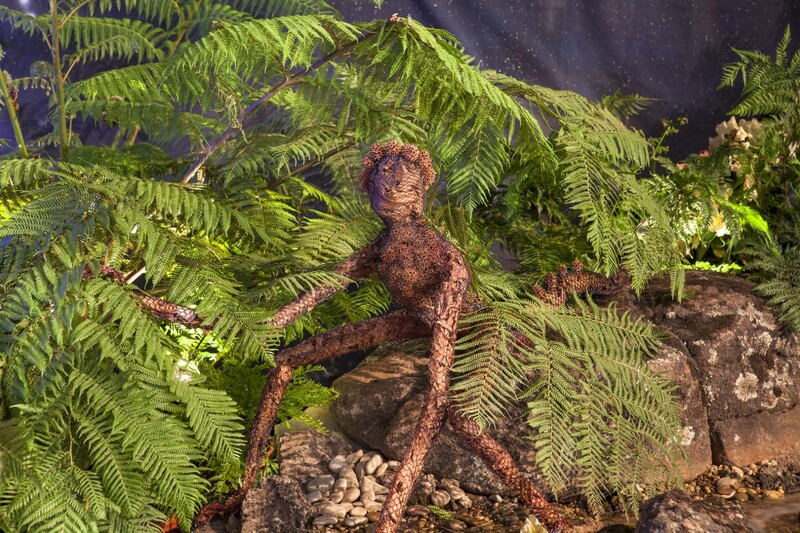 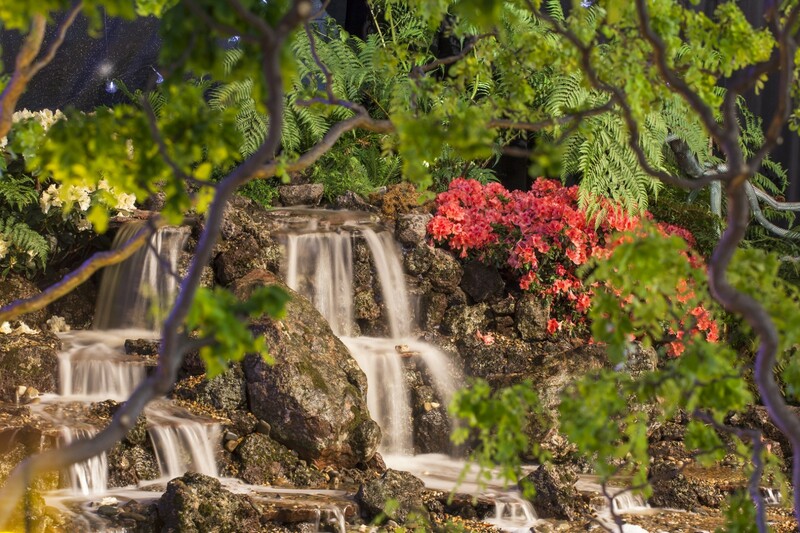 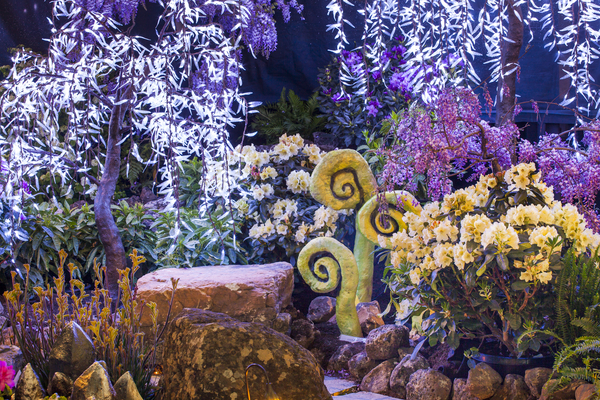 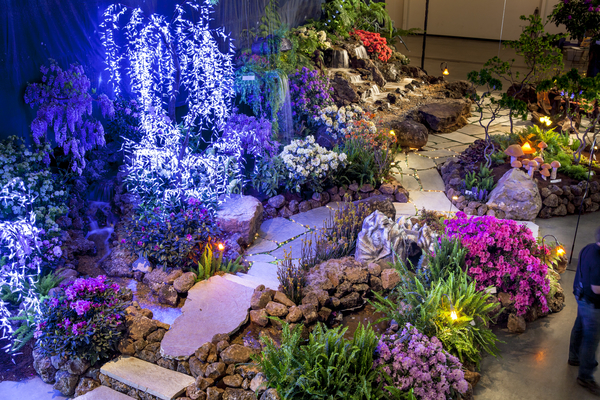 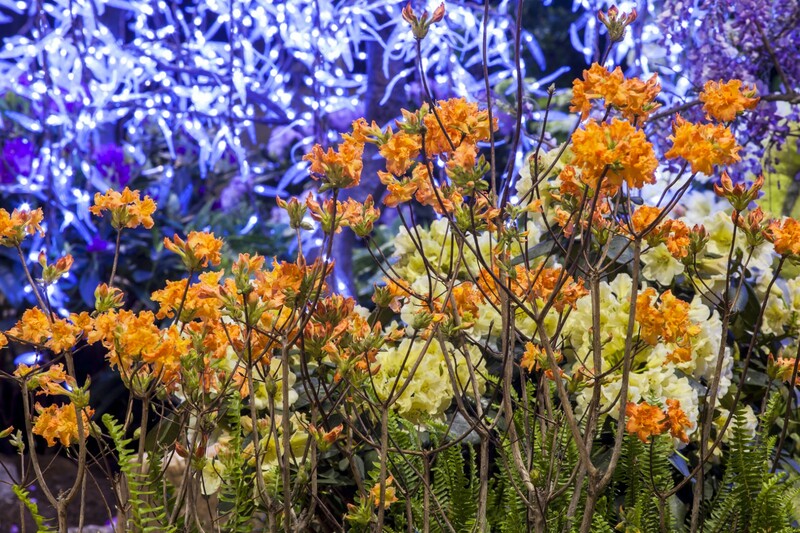 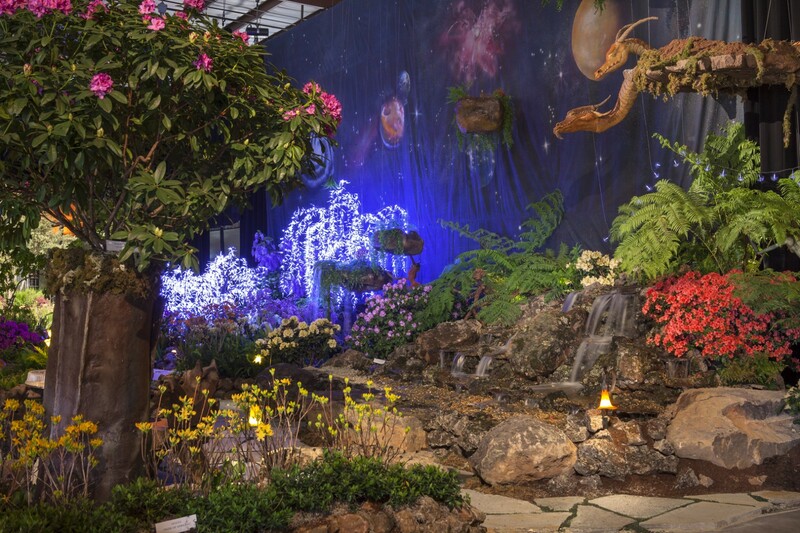 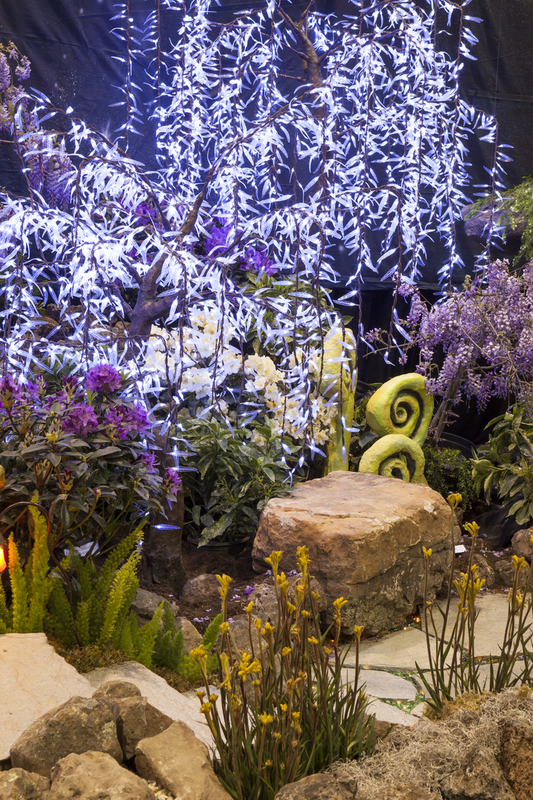 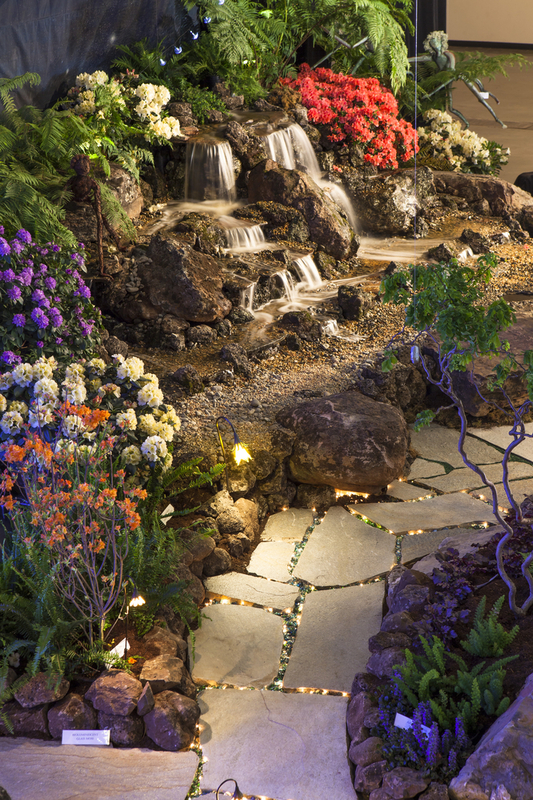 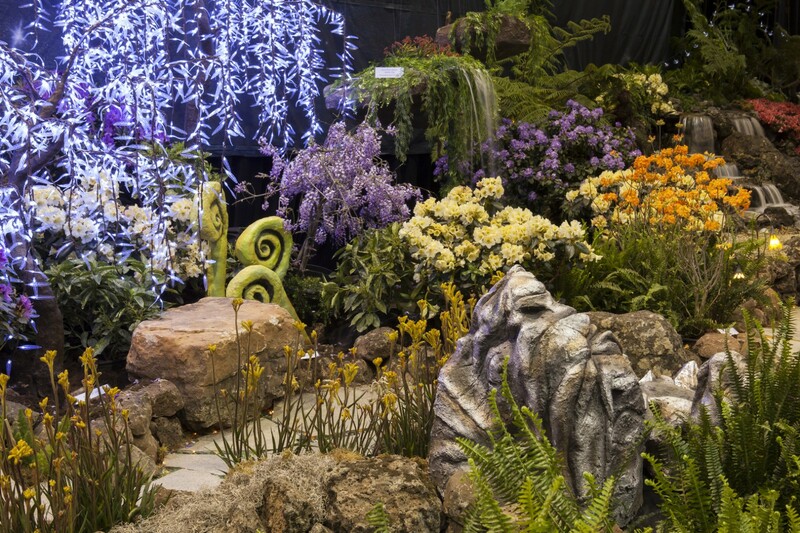 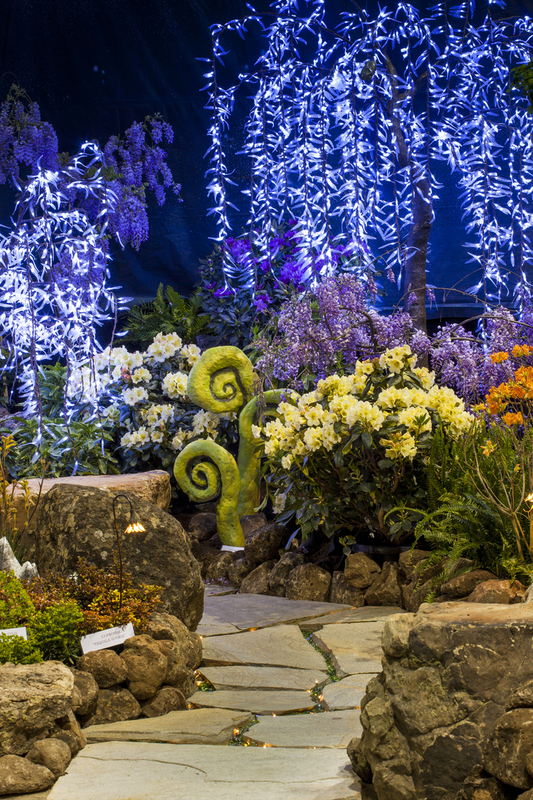 This “Fantasy” based garden is inspired by the imaginative gardens of Pandora from the movie Avatar. 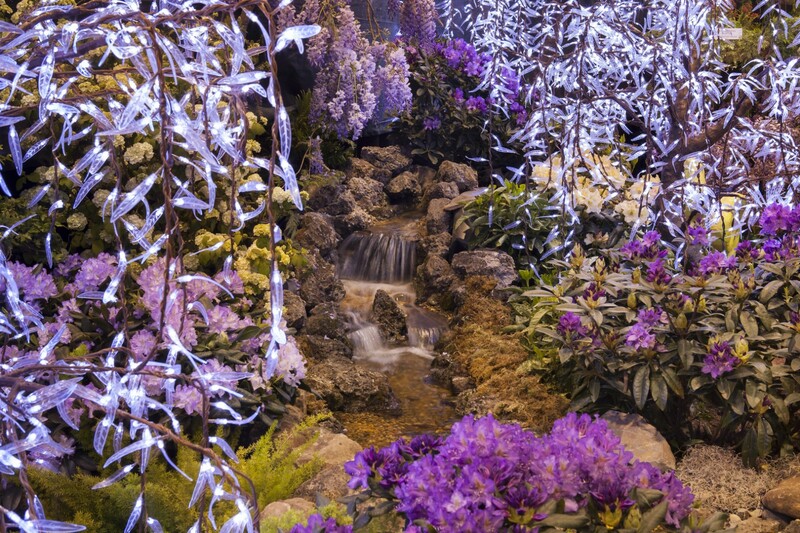 The floating gardens of the Hallelujah Mountains are going to be the main focus. 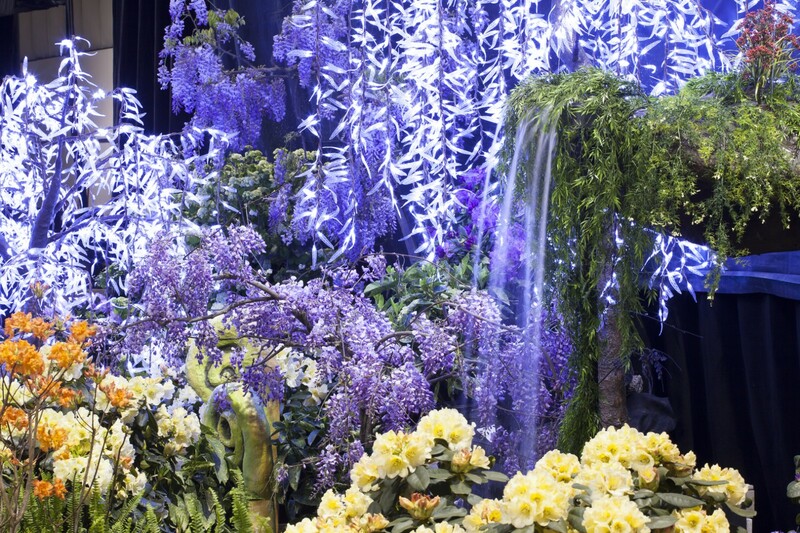 We will have suspended from the trusses above, light weight chunks of land with plants spilling from them for the illusion of a floating garden. 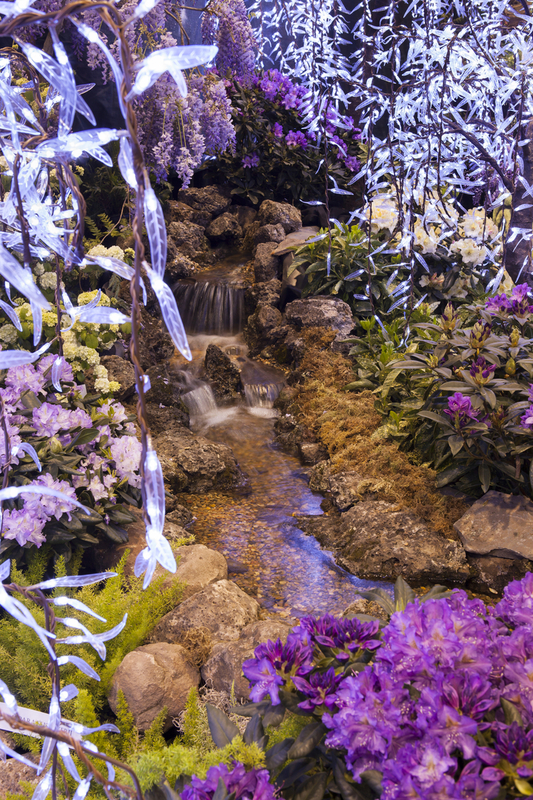 These will meander down towards a mountain top where beautiful waterfalls will cascade natural down towards a path, sitting areas and an outdoor room.